A Product Hunt for Marketing Tools, Apps & More! I saw their ad on SF Bart and decided to take a look. Zoho helps brands to attract, retain, delight customers and grow your company into a customer-focused organization. I like it that they are very attentive, the customer service is superb and you can even start with a 15 day trial even with the top tier CRM. I like the customization it provides as well as the pairing the CRM with a VoIP. I love how you can see a profile of the person calling. The administrator user must be really carefull when setting up the Zoho suite, given that if not carefully designed, it may build huge databases with data that is not useful. Sometimes its hard to build custom queries and can loose lots of time looking, for instance, for a list of contacts that: I own + have lost OPPs + haven´t been touched for 24 months. CleverTap is a multichannel marketing platform that lets you send push, email , in-app notifs, SMS, web push, and FB remarketing ads through their platform and allows you to collect and analyze customer data in near-real time. I've been using CleverTap for more than three years now. We tried various providers to send in-app push notifications, but none could handle the traffic and load of our user-base, especially during popular sports events or TV show releases. CleverTap, having a robust and scalable infrastructure, could easily handle our load and send realtime notifications to all of our users. We were then able to schedule and send massive campaigns in a matter of seconds without stressing over deliverability. Also, they have a great customer success team, who eased the transition process and assisted us with automating all of our marketing use-cases. Well with the scale they've managed to reach, they need more manpower! The irony of it is, they've managed to create such an impact with such few resources. Share Local Media is a startup that's focused on providing direct mail as a service. They work with reputable startups and companies like Warby Parker and Harry's to submit joint mail packets to affluent zip codes. The brands included in the mailer then share the price of the mailer making it cheaper for everyone while being in good company and reaching qualified leads. Share Local Media was founded by my former boss, and he's assembled a team of amazing marketers to run SLM. The customer service is great. They provide transparent communication. And, when it comes to direct mail pricing, it's very reasonable. Plus, for an emerging startup, you can usually expect one known AAA brand in the mailer so prospects associate you with strong brands. It's also fairly easy to get started, and you can reach affluent zip codes all over the United States. And, with more spend being focused on digital marketing, the mailbox is becoming a forgotten channel, which means there's a vaccuum of advertisers in the space. SLM lets you fill that void and reach your customers in a way that most brands are not. You're limited to their zip codes and the number of times they will mail that zip code per month. Also, there isn't an easy web portal to submit your assets so you have to work with an account manager to get into a mailer. This helps improve the quality of mailers you're with but it does increase the amount of time needed to reach out, design, and then get a direct mail campaign live. AI-powered chatbot that works across messengers, websites,and native apps and allows you to automate up to 70 percent of your customer support. It can integrate with your existing CRM and support tools, learn new queries and responses over time, and allow you to add cards, carousels, and quick replies to enrich your conversations. Morph.ai is a useful, highly functional and flexible tool for any entrepreneur managing a small or medium sized business. Since implementing it at my startup we've been able to save tremendous costs that were being allocated toward contracting out our customer service calls. The AI is capable of answering a wide variety of customer questions, and even helps with troubleshooting the majority of customer issues with our product. The product, and AI chabots in general, are still in their early stages. Because Morph.ai doesn't fully understand our product and lacks a certain amount of context, it can sometimes be buggy and give users erroneous responses. I was hoping Morph.ai would be able to do more than it could. Perhaps the next version will be a step up. Mixpanel is an app marketing tool that tracks user interactions with web and mobile applications and provides tools for targeted communication. The api libraries are fantastic, very easy to implement and get up and running, and it has great docs. Funnels are a great way to view conversion rates through steppers or pages. Quite easy for non-technical members of the team to use and start creating their own charts. Easy to navigate and excellent ux. Collects a lot of user data by default and ip and location is very useful. Lack of flexibility in terms of bringing in other datasources which has forced us to move towards a total data warehouse solution. Ad blocker removes ~5 % of client side events which means you have to be clever comparing server side to client side. Could be more accurate collecting initial referrer, and there could be better ways to explore your user base. You will also need some engineering experience or a developer to help you implement. 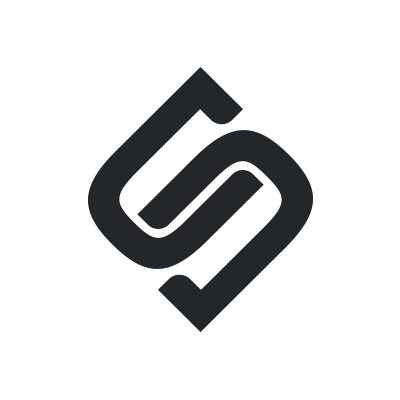 Survicate is an all in one platform that allows you to trigger surveys to capture data for marketing, website conversion, product, and help your support teams. With these surveys, business owners can use the Survicate data to improve their business based on real customer and propsect feedback. Once you create your free account, they ask you what your main goal is (e.g. conversion optimization, website feedback, lead generation, etc.). Once you select your goal, you can select how your survey will trigger, and my favoirte one is that you can actually trigger a survey on the site in the footer. Most platforms like Survey Monkey require you to email a survey which is a few steps outside of the customer experience flow. Trigger a survey at the exact point in the customer journey is a great way to get more authentic feedback. Once you select where you want the survey to trigger, you can either use a pre built template or create your own. and on the free tier you get 50 free responses to try it out. Overall, I feel it's an interesting way to gather more user data in a more organic way than the other survey tools like Survey Monkey or TypeForm. If you're a small team and you're already using a survey tool, you probably won't change it to try out Survicate. But, if you have a large product or UX team that needs to gather more data, I'd give Survicate a try. So, Taboola is Outbrain's (already shared on MH) biggest competitor. They both do native ads on publisher sites but they have slightly different executions. The main differentiators are the publishers that Taboola is on, budget allocations, and audience volume. Taboola has a wider network of publishers which means it attracts a lot more clicks and volume. In terms of budget, Taboola lets you allocate your budget over a month whereas Outbrain is a pay per day model (and they frequently go over) . Overall, Taboola is another native advertising channel to consider for your customer acquisition strategy and brings the traffic. Sniply lets you add a call to action to any link you share. The snipply link usually appears as a hover button in the footer of the link you share, and you can customizt the text and call to action. So, if you have an article that talks about your new Series A for a SaaS product, you can add a Sniply link that says "Interested in trying our our Saas suite? Learn more". That link can then have all the tracking parameters you need to measure the success of your PR article. I also like that Sniply lets you customize the look and feel on the Snippets so they can match your branding. I've done user testing with Sniply links and most people assume they're just a native link that the publisher put in the page. Rarely is someone annoyed with it, but of course this is up to you as the marketer to decide how aggressive you want to be with Sniply link. Overall though, I really recommend trying Sniply because its free to try and you can start to measure channels that have tradtionally been immeasurable. Some marketing platforms are wising up to links created with Sniply and they get scrubbed out. I specifically noticed this on native advertising platforms like Outbrain. So you'll have to try the links out on each platform to see where they won't get blocked. Outbrain is a native advertising platform that allows marketers to serve up digitally native ad units on publishers like Time and CNN. These units look like articles on the publisher's websites so the click through rates are much higher, and Outbrain's platform is very easy to use to get started and scale. Think of Outbrain like a Facebook or Instagram native ad except that the ad unit is on reputable online publications like MSNBC or Business Insider. It's a really great way to get your product or business in front of readers of these publishers without spending tens of thousands on a sponsored post from the publisher. 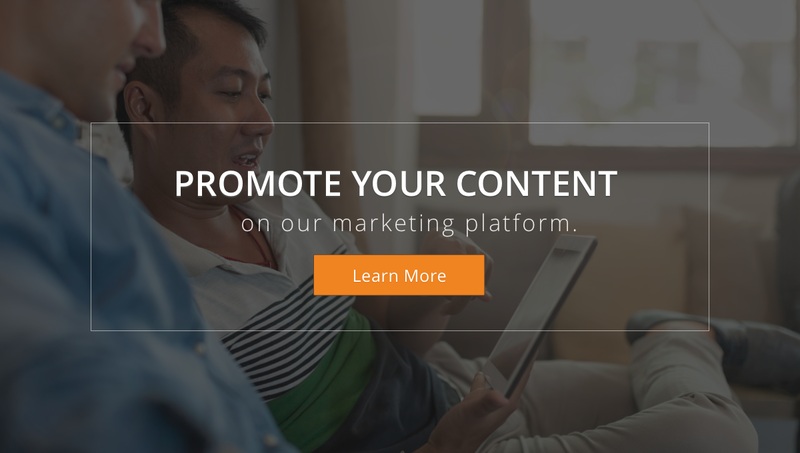 But, Outbrain is intended to link from a publisher article to another article so you do need to bring your own content marketing or earned PR stories to Outbrain to create the content. But, if you have good articles out there (or you create your own), then you can seed your stories in front of the audiences that have a high overlap with your customer base. From there, you can optimize the headline to get the best CTR and then you can optimize our content to get the best CTR to your site or app. Outbrain doesn't really work for direct response to your site because it's a content marketing tool that appears on news outlets and blogs. So you'll need to either get PR stories or reviews ahead of time or you'll have to write your own. Also, a lot of it depends on engagement on the headline of your post, so you'll have to get creative about what you put in their character limit to drive clicks. This is sometimes not ideal for brands with specific language guidelines as the best headlines that result in clicks are usually very click-baity. In their own words If This Then That (IFTTT) is a "free way to get all your apps and devices talking to each other." But for marketers, this means that you can set up logic flows that allow something to do another thing when something else does a thing. So an example might be that you receive an email or send a retweet once someone you follow posts something to Twitter. Like any marketplace, it's dependent on the services that people are putting out there. So, if you're using something pretty unique or doesn't have an open API, then there probably isn't an IFTTT for it. 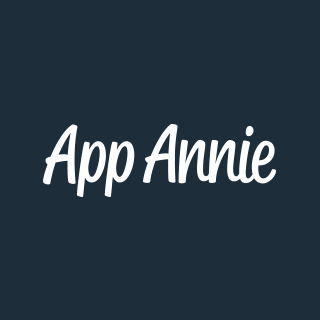 App Annie is an App Store Optimization (ASO) platforms that allows you to analyze your presence in the app stores, see how you rank on keywords, and track your app store ranking over time to see what changes have a meaningful impact on your ranking. The ASO market is pretty crowded with a ton of tools (App Radar, Mobile Action, etc. ), but App Annie is the most common ASO tool people use to get tarted because their free tier is great and it provides enough data for early apps to improve their ASO. My favorite features are keyword ranking (to see how your app ranks for specific keywords), tracking ranking for your app in different countries to figure out what markets to enter next, and competitor analysis. Also, App Annie tracks when you release a new update in your ranking chart so you can see if changes like new screenshots, new features, or changing your app category moves the needle on ranking. The free tier is limited, and there isn't an easy middle tier between Free and Enterprise level. I'd love an option where I get some of the premium features like demographic data or downloads in a subscription program. Obviously I am biased but Cuebiq is a location intelligence company which leverages the world’s largest, most accurate, and most transparent location-based database. Our patent pending SDK has been integrated in over 180+ mobile apps that reach a diverse user base and leverage precise location. Once users opt-in, our technology works in the background even when the app is not open, allowing us to persistently collect anonymous location data. Our SDK listens to location signals including GPS, Wifi, and Bluetooth and then our platform analyzes the data to understand dwell time, frequency of visit, context, and POI mapping. Happy to discuss how we can help. Typeform makes it easy to create beautiful surveys. Of the survey providers out there, they place the one of the highest premiums on the experience for the survey recipient which leads to better survey completion rates. I work in UX so it's really important to me to use and champion products that also value good user experience. Sure, Google Forms is functional, but it's not aesthetically pleasing. With a TypeForm survey, I get to carry the principles of highly engaging, quality user experience that I value in the products I build to the survey platform I use. There's also also a healthy number of templates to get you started, and their free tier has enough features to get you started. But, if you're in UX or you value collecting user data for business decisions (which you should), then you'll probably upgrade to their paid tiers, which really isn't too bad. I feel like as long as you send a survey a quarter then you make up the value. If you need integrations, there's also support for HubSpot and Zapier. Yesware is a simple plugin you can install that will allow you to track opens from the emails you send from Gmail or Outlook. This means you can find out if that PR person saw your pitch or if that prospective customer saw your email but passed. I've sent so many emails to writers and clients, but it always felt like I was throwing my email into the void. You never knew if they got it or if they opened it. Yesware triggers a notification the moment someone opened your email, which means you spend less time waiting and more time acting. It's fundamentally changed the way Sales, PR, and Marketing provide updates on prospects. I see a lot less "I'm waiting to see what happens" and a lot more "He/She opened the email yesterday, so I expect to hear something by the end of the day or I will follow up tomorrow morning." Basically, everything is way more actionable. It only works with Gmail and Outlook so if you're on a different email provider, it won't work. I also don't think they have a mobile app so it would be nice to get a push notification on my phone if someone opened an email. actionable.me helps marketers send personalised cold emails at scale, effortlessly. Cold emails are a great way for marketers to achieve growth by acquiring back links, building partnerships, finding guest blogs/bloggers, and pitching PR pieces. If you're new to using cold email as a growth tactic then actionable.me is a great way to get started due to it's simplicity. There's an unlimited free tier. Email campaign stats that are tracked include # of emails delivered, opened, replied, & bounced. No Zapier integration yet so if you're used to automating things using Zaps then you won't be able to yet. Kustomer is simply a better CRM and customer service tool than the other things I've used in the past. A lot of people I knew were switching from Zendesk to Kustomer, and I didn't really undertand why. They all seem pretty similar, but the big turning point for me was when my CMO started asking about a timeline of all of our touch points for a customer. Zendesk was pretty bad at that, but Kustomer plays a huge emphasis on this timeline. If you've ever used Shopify, you can see something similar in the Order info, but Kustomer shows you everything, which means I get more info when dealing with a customer and I also spend way less time jumping between tabs. They also have a much easier automation and triggering interface than Zendesk which I like. The time cost of switching over is definitely annoying, but Kustomer has a lot of clients who switch over from other platforms so they're fairly good at integrating. Pricing isn't cheap but comporable to other customer success platforms out there. Outgrow is a lead gen SaaS tool that lets marketers build interactive quizes and caluclators (think a Buzzfeed "What kind of vacation should you take" quiz) that lets you capture emails and then remarket to those emails. If you can't code and you want to use something prettier than Google Forms, this is a pretty cool way to get engaging content on a marketing landing page to capture email leads. Their templates are pretty slick, and you can custom make the quizes to make them relevant for your business. For example, if you're a marketing consultant, you can use the quiz to gather data on your audience, send them a follow up, capture their email, and give the user's a neat way to enter the information in a fun way. I've used boring forms like the prebuilt Salesforce forms to gather sales leads, and I'd say Outgrow is definitely more engaging. For a small startup, it might be a bit pricey, and the trial period is only 7 days. They do have a $14/month quiz-only option, but it's billed annually, which is annoying. But, if you just want to try it for a month and see if it works there's a billed monthly option that starts at $22/mo. It's not the most expensive but I wish their trial period was a bit longer. Since trial is fairly short, just know exactly what you want to do and try and get the most value in the 7 days so you can decide if you want to stick with it. 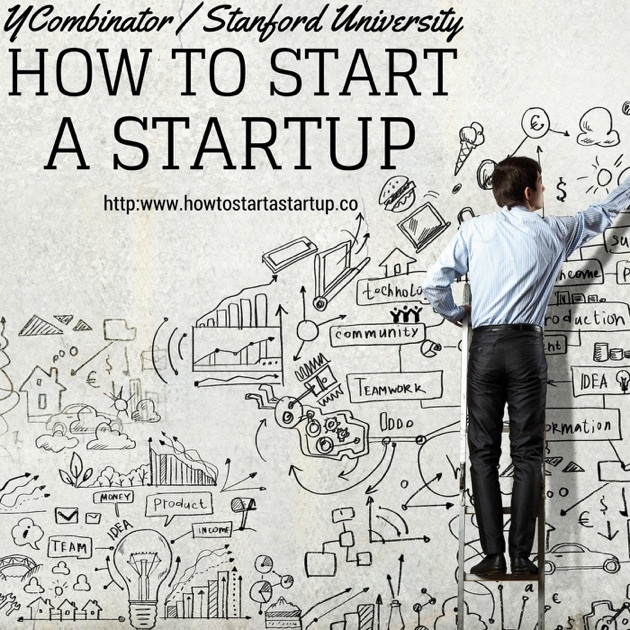 For anyone who ever wanted to start a startup or learn how startups are created, Y Combinator's podcast run by Sam Altman is the first thing you should listen to start your journey. What's not to like? There's so many guest speakers--the founder of Asana, Marc Andreesen, Paul Graham, etc. It's basically a who's who of startups who all spend time to walk you through their speciality and their experience. After listening to the entire set, you won't know everything, but you'll know enough to get a sense of why some startups work and why others fail. There's also some great feedback on how to write a good 30 second and 1 minute and 30 second pitch. At a minimum, you should listen to that episode if you're ever going to try and pitch. It's too short! I wish there were more episodes.